Happy Monday guys! I'm so excited for this week! I head to Charleston, SC tomorrow for The Southern C Summit and I cannot wait to experience both Charleston and the summit. Everyone who I've told about this keeps telling me I'm going to fall in love with CHS and that I'll want to move there. The anticipation is killing me, so I cannot wait to get down there and see for myself. But before that happens, I need to tell you about something huuuge. 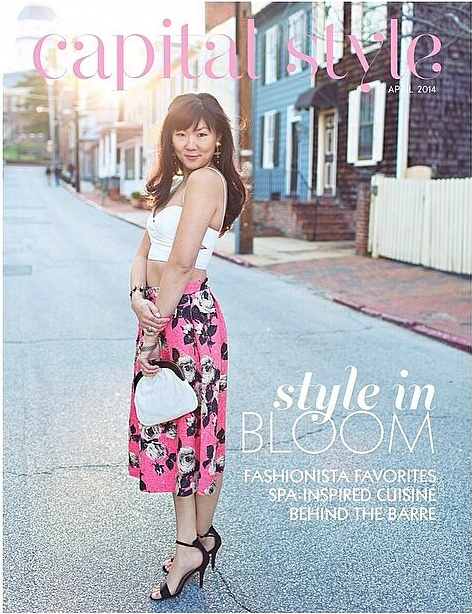 You all know that I've been contributing for Capital Style Magazine located here in Annapolis for the past few months now. Well, they have been sooo amazing to me that they asked me to be on the cover of their Fashion/Beauty issue!! I've been keeping it a secret for the past couple of months, because I just didn't want to jinx anything. Now that it's out (yesterday to be specific), I think it's safe to share what an unbelievable experience it's been and I'm just so thankful for the wonderful opportunity that they've given to me with this cover feature. Head on over to Capital Style Magazine to see the feature online. There are some outfits that I haven't shared on the blog so lots of good stuff in this feature, but I promise to share them on the blog soon. 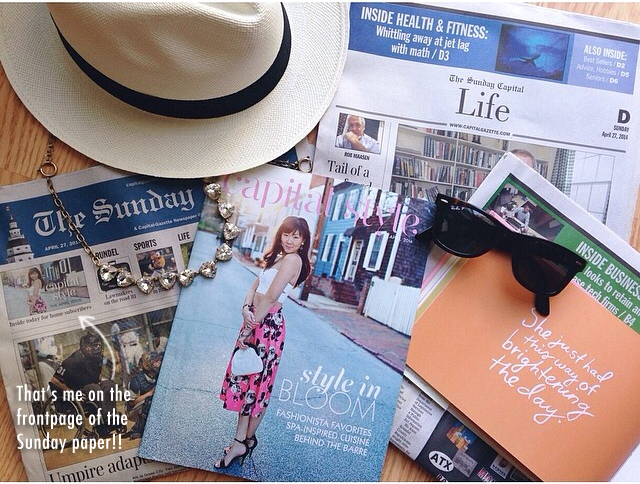 Thank you Capital Style Magazine for sharing this on Instagram!!! It totally made my day yesterday!!! 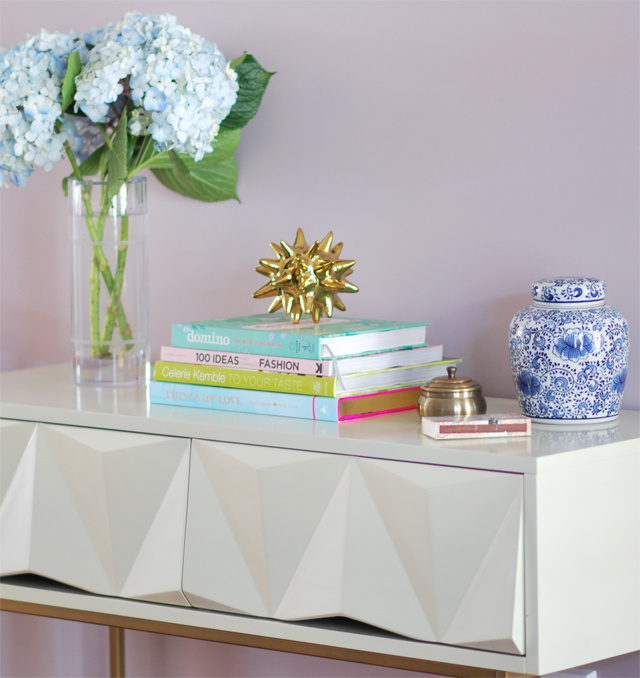 Saturday morning, I did a little styling of our new console table in our living room. It's a new piece of furniture that I have been dying to get my hands on since it came out. Thank goodness for the birthday discount that West Elm gives you -- that was the only way I was going to get this. I still need some artwork to go above it, but for now I am totally in love with how it has taken the living room to that next level that I've been wanting. I had a quiet moment to myself on Saturday while Cora napped. 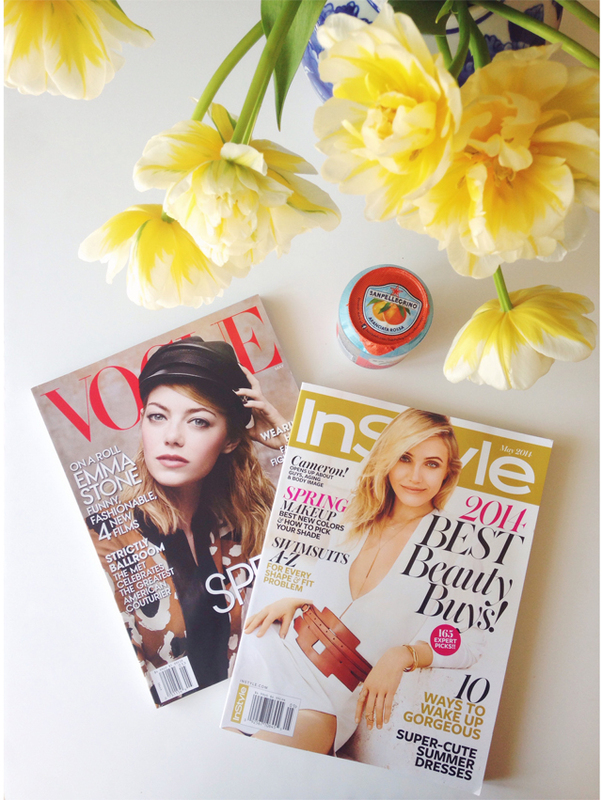 I took full advantage by enjoying my Instyle and Vogue magazines for the month. It's funny how something so simple as reading a magazine turns into a complete indulgence after having a kid. All she wanted to do this weekend was be outside enjoying the gorgeous weather we had. 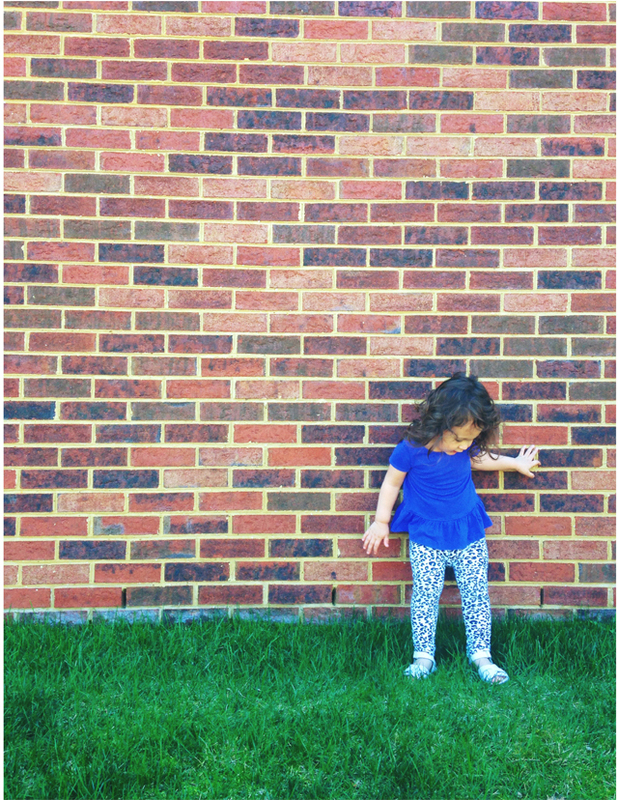 Here she is doing her #ootd pose. 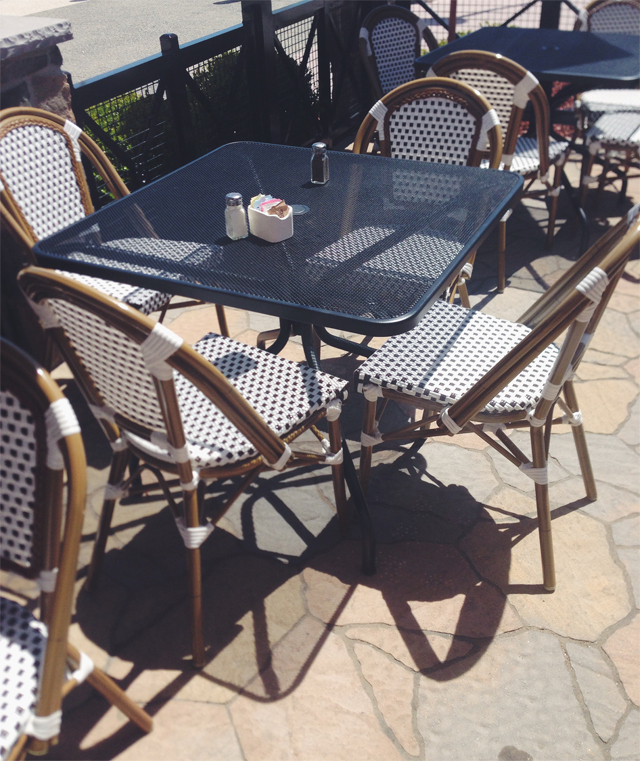 How cute are these bistro chairs?? Makes me want to go to the South of France ... like right now. We dined al fresco yesterday at lunch with Cora and it was just so nice to finally eat outside. We don't usually take her out to restaurants because her behavior isn't quite ideal for us or for other patrons, but we figured if we're outside in an enclosed area, we should be okay. Congrats on the cover, that is so awesome!! !